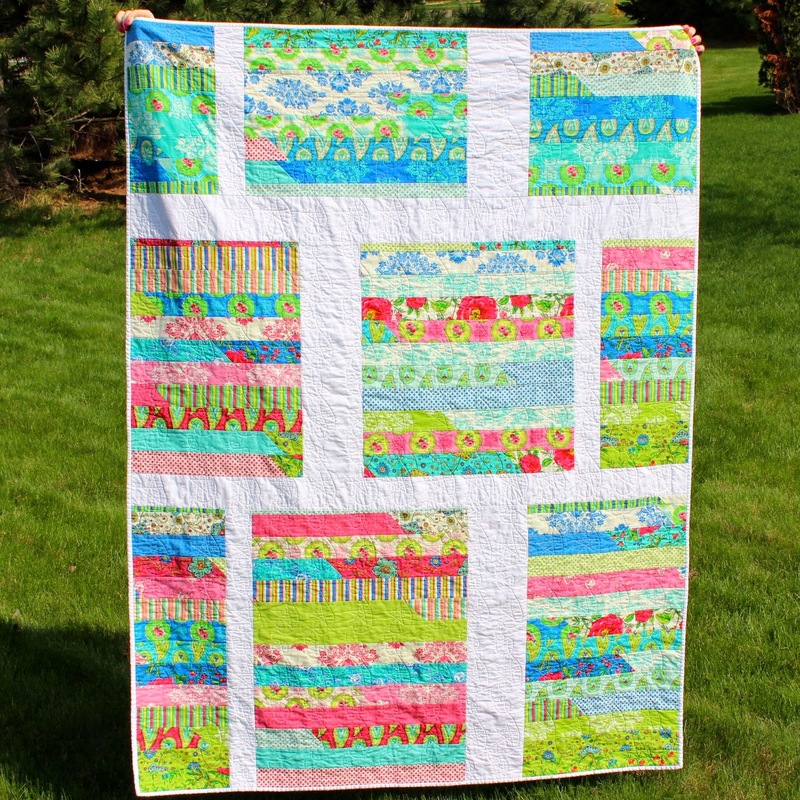 I love Jenny's tutorials over at The Missouri Star Quilt Company. Every Friday I look forward to seeing her newest one. 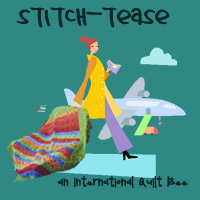 They are usually all about fast and easy quilts or other quilty type projects you can do with precuts. When I first got the Gracie Frame to go along with my Juki 2010Q, I was so scared to load up my first quilt! A long-armer friend told me how pointless it is to practice on scraps, though, so I finally conceded to use a quilt top I made with Jenny's Jelly Roll Race tutorial for my first quilt on the frame. I was shocked at how easy it was to load up the quilt layers onto the frame. The tutorials that Grace Company provides are excellent. I can't explain how intimidated I was by this whole process, but I was also thrilled at the same time. I used a pantograph that I traced from a stencil for this first quilt and squealed gleefully all by myself down in my basement shop after I got going. 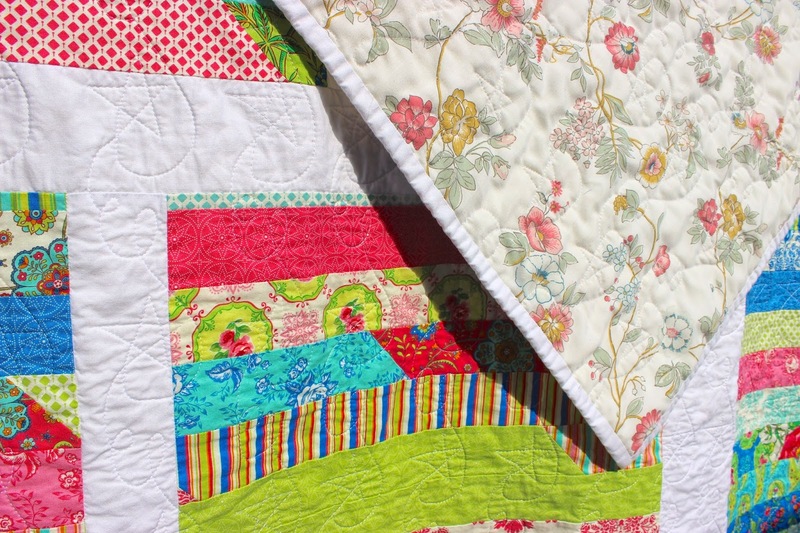 It's so fun to quilt on this Juki/Grace Frame combo. It is lightweight to maneuver and very easy to follow the pantograph with the laser. This quilt is really special to me, because of the whole experience. I wanted it to go to someone who I knew would appreciate the process of quilting as much as I do. I gave this quilt to my Grandmother in Maine for Mother's Day. Grammom is also a quilter, and she never keeps anything she makes for herself, so I knew she would love it. I call this quilt the Jelly Roll Chop, because after I completed the tutorial, I chopped it up and added some sashing to make it a little bigger and give it a different look. The jelly roll is Summer House by Lily Ashbury, and I used Kona White for the sashing and binding. The back is a vintage sheet, and the batting is Pellon Nature's Touch (as always - because I love it so much!!). Great job Trina! I still want to buy the grace frame after talking to you and seeing what you've created. I'm sure your Grandma loved it!